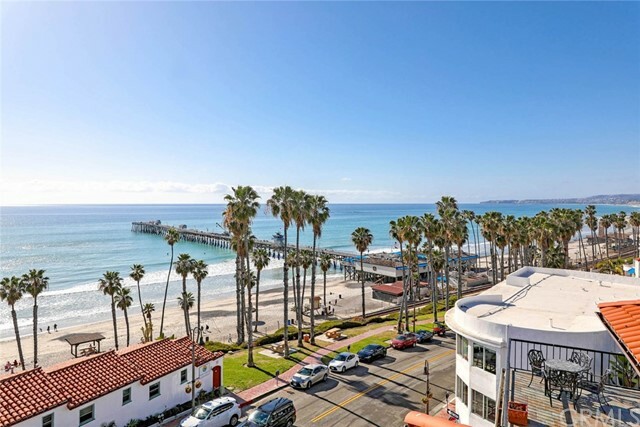 Spectacular Ocean and Pier views from this spacious luxury condo located in the heart of the Pier Bowl. 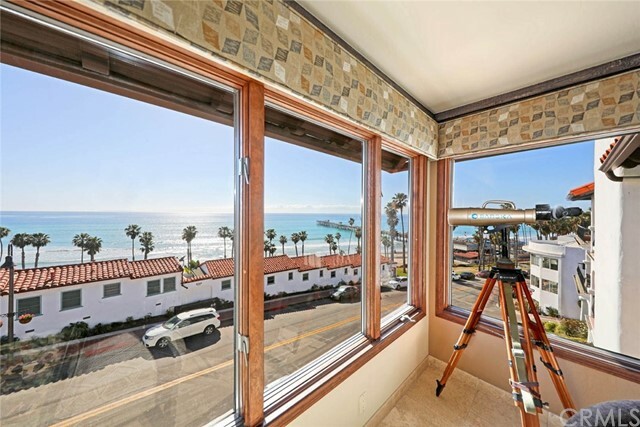 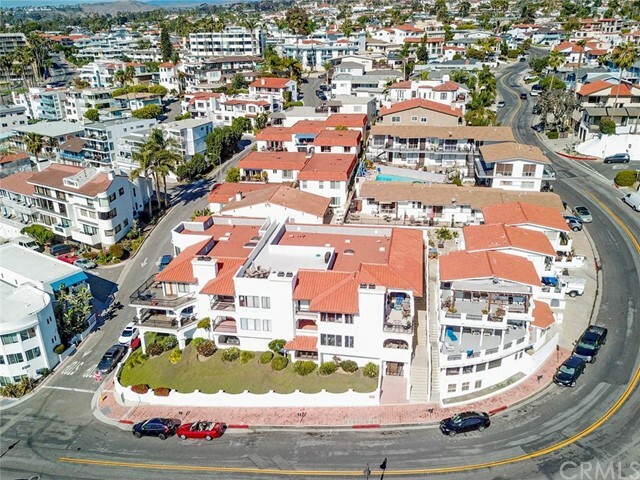 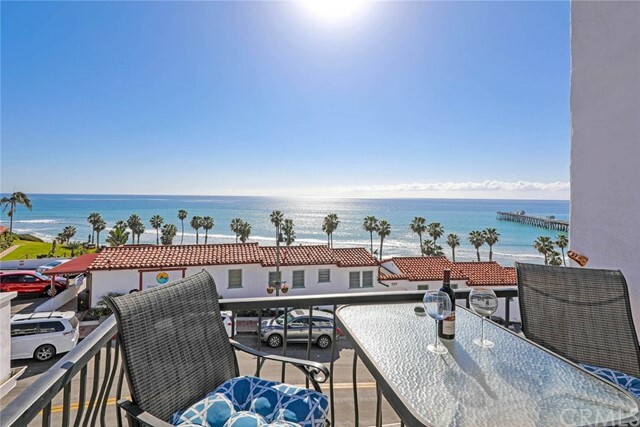 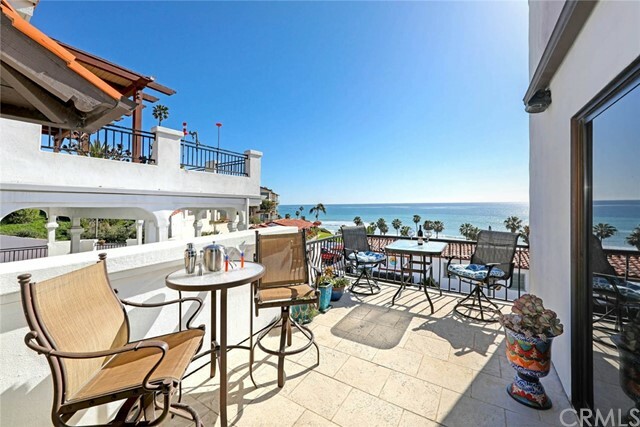 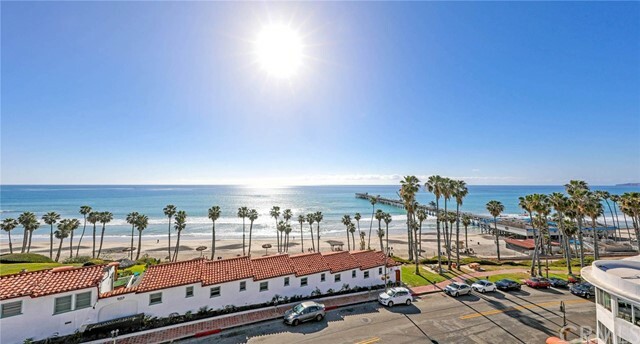 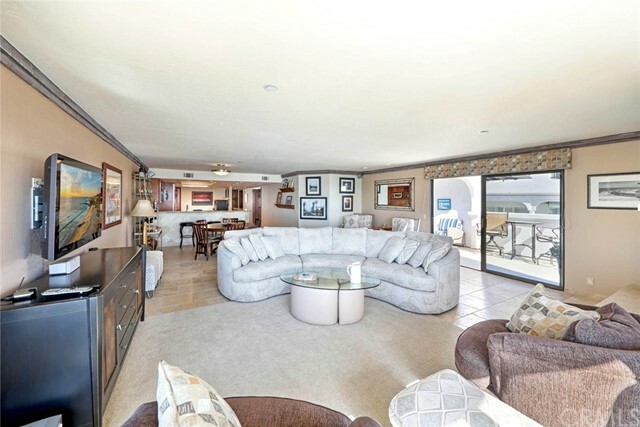 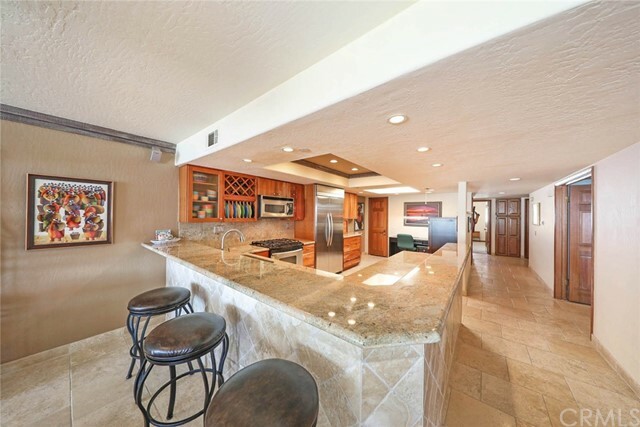 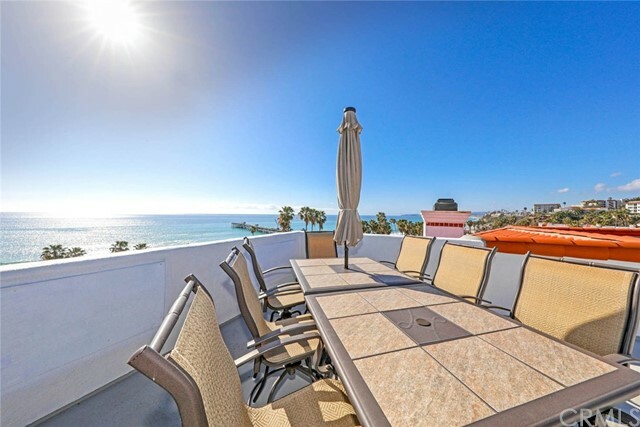 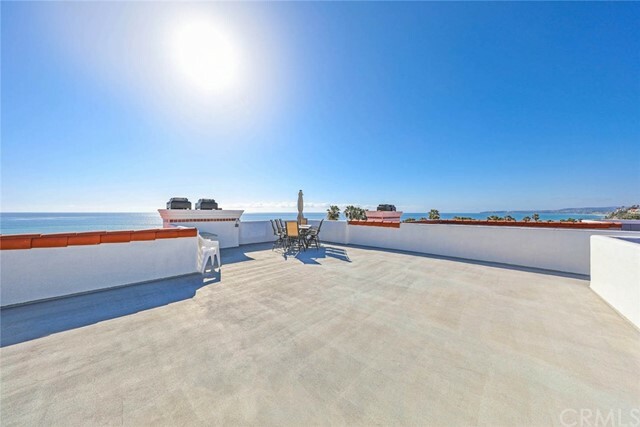 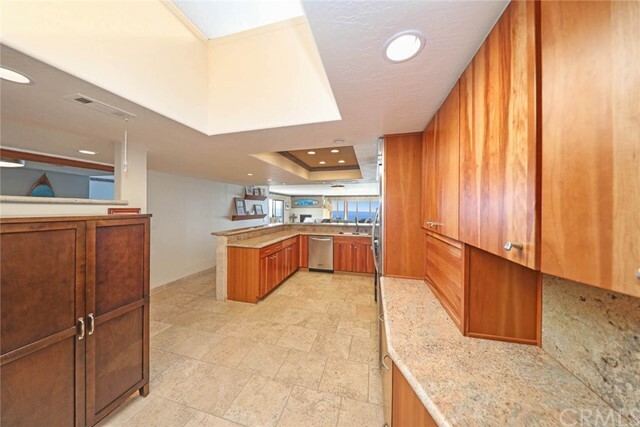 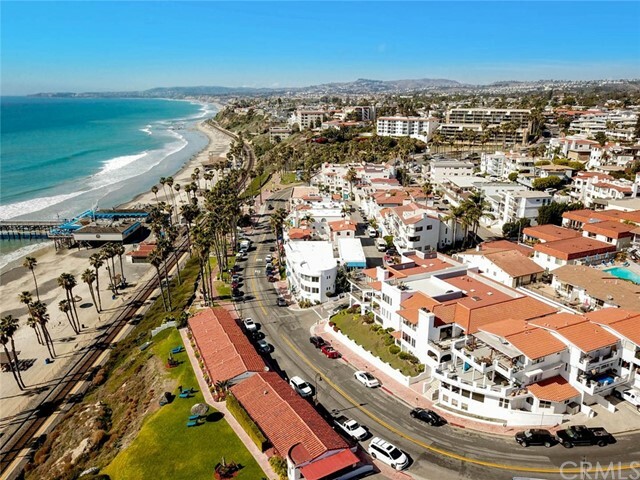 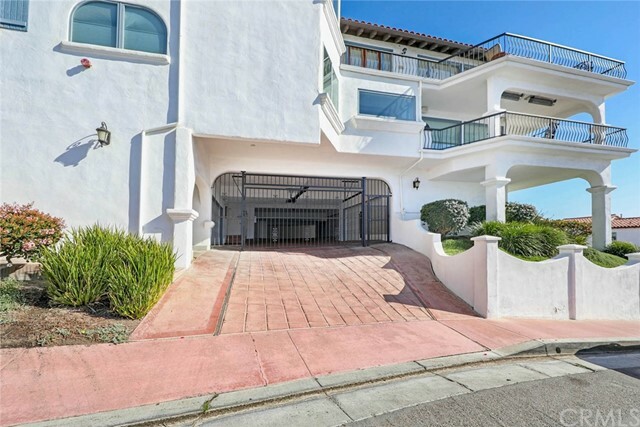 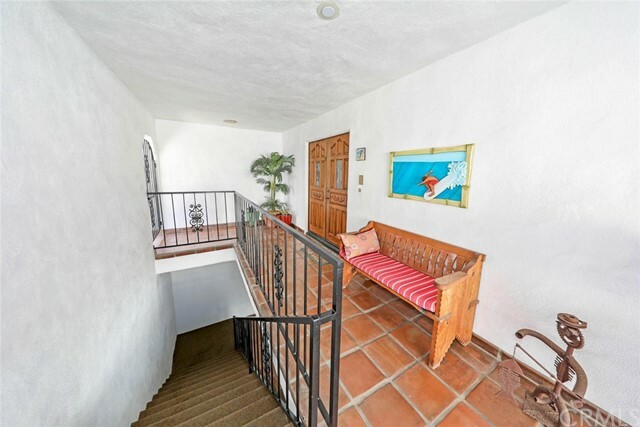 Enjoy unobstructed views of Dana Point Harbor, Catalina Island, Coastline, White Water, Surfers, T Street, Pier, Fireworks, City Lights and Romantic Sunsets from inside the unit or from the enormous Roof Top deck furnished with BBQ, table, chairs & umbrella. 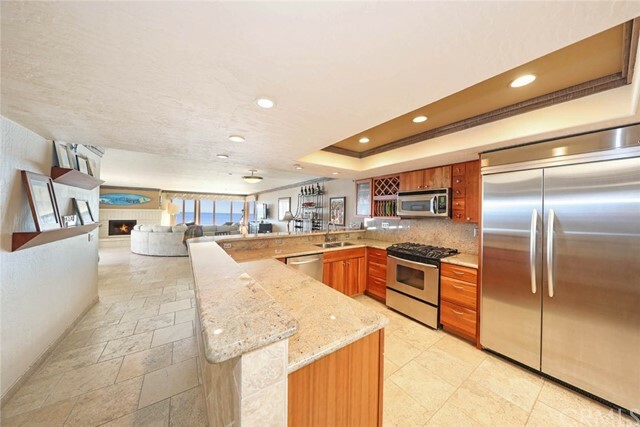 Inside this open floor plan is a stunning remodeled kitchen with rich natural cherry cabinetry, granite counters, stainless appliances, breakfast bar & walk in pantry. 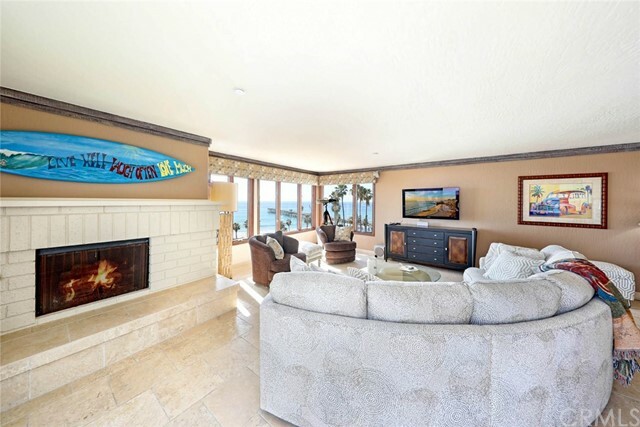 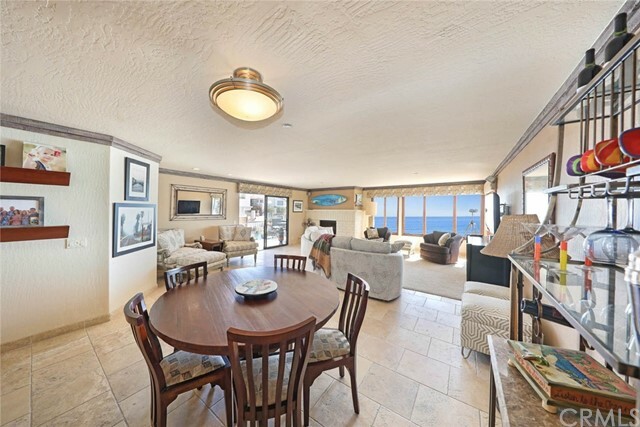 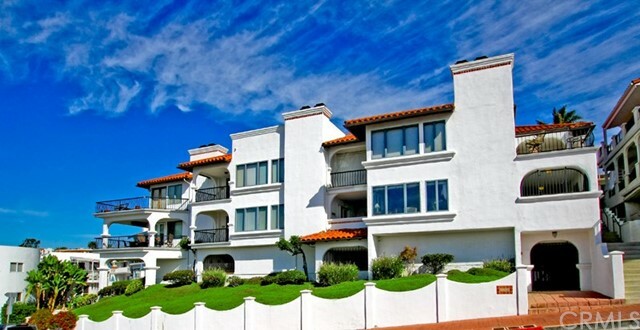 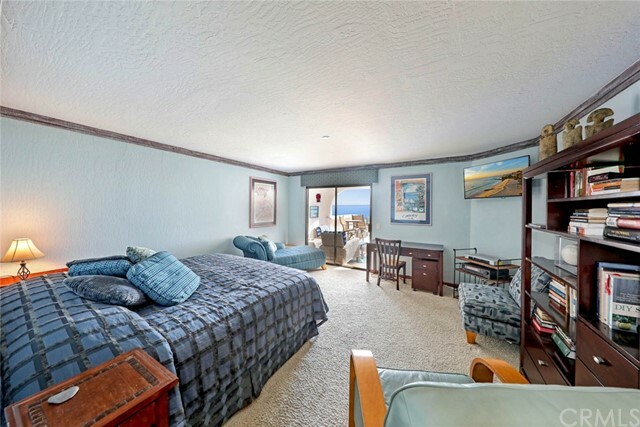 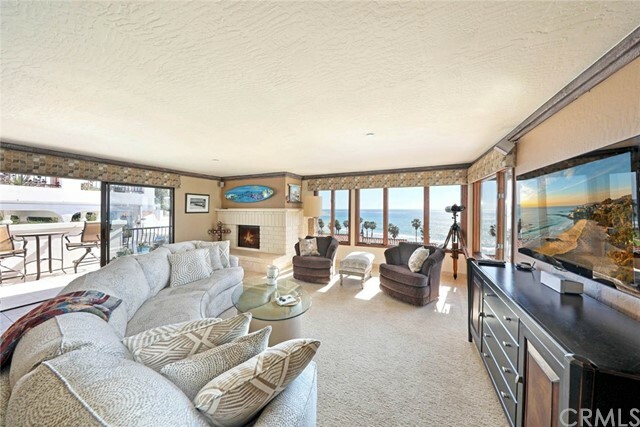 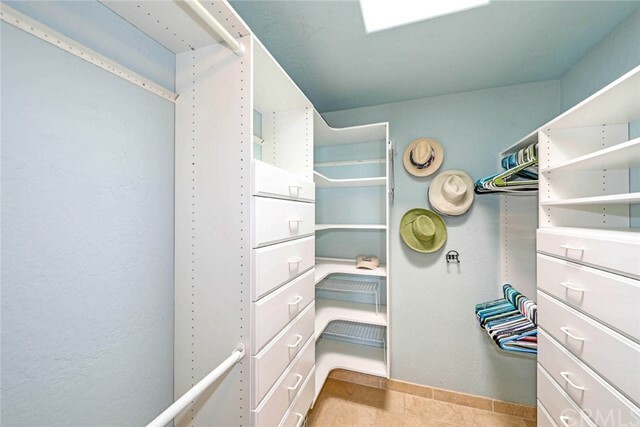 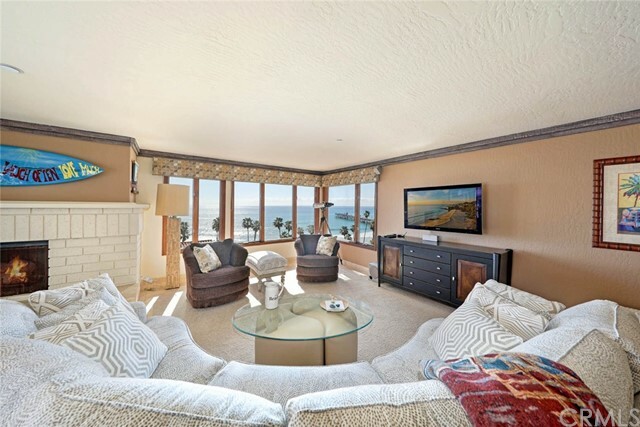 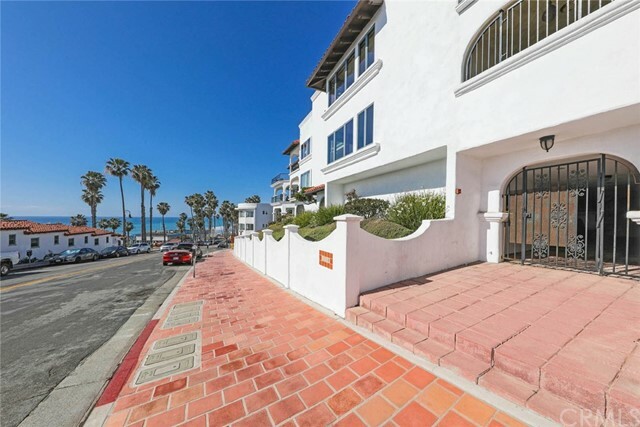 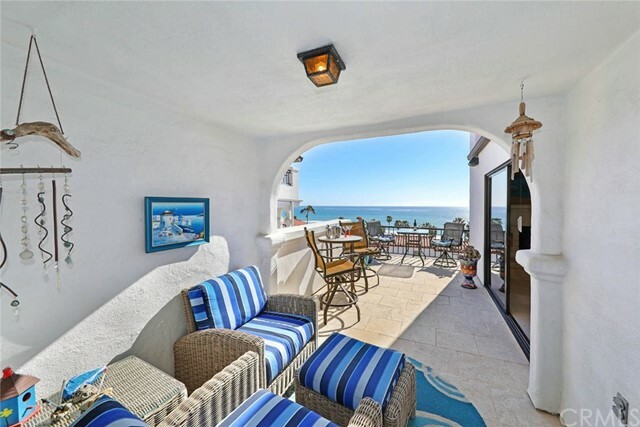 The light & bright condo features a large ocean view balcony patio accessed from the master bedroom and living room, a cozy fireplace, generous sized bedrooms each with ensuite bathrooms, additional half bath for guests, inside laundry room and lots of storage. 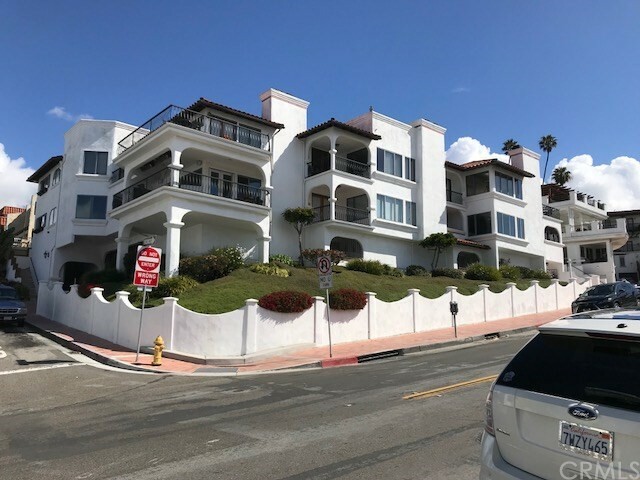 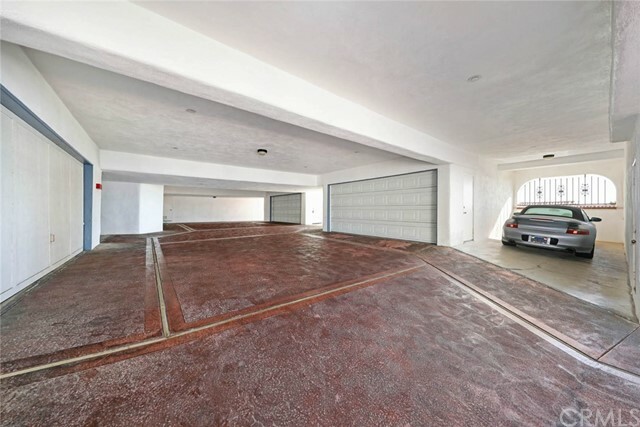 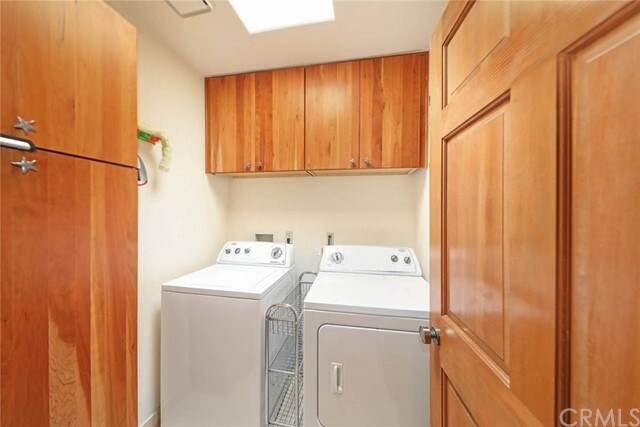 This meticulously maintained building includes a gated parking garage with individual private oversized 2 car garages for each unit plus guest parking. 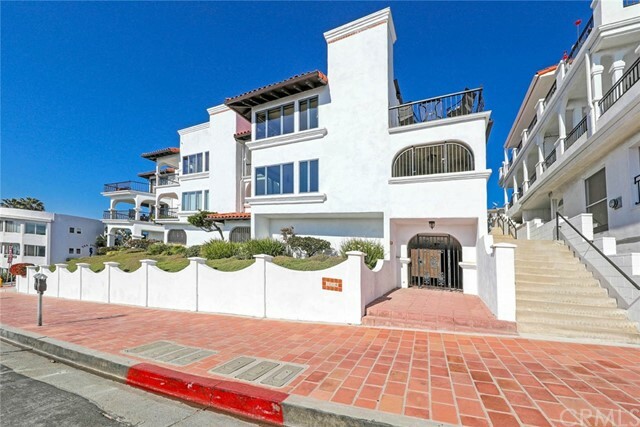 There are only six units in this beautiful Mediterranean building. 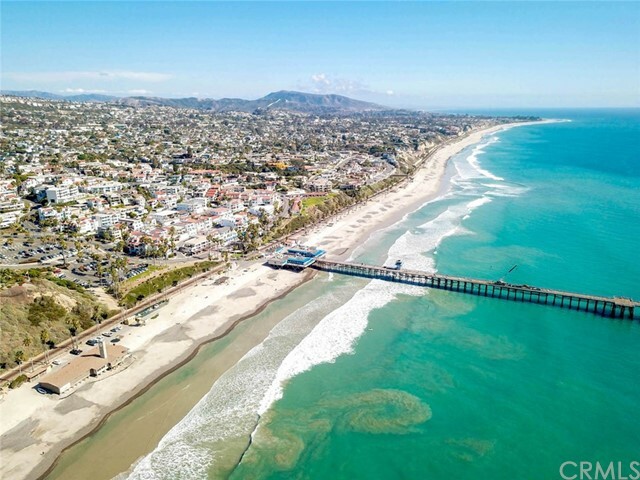 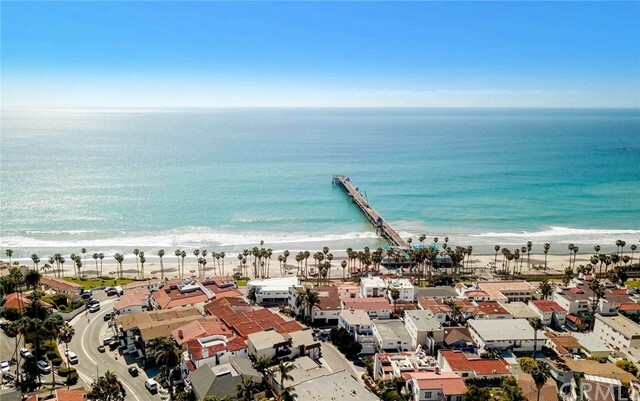 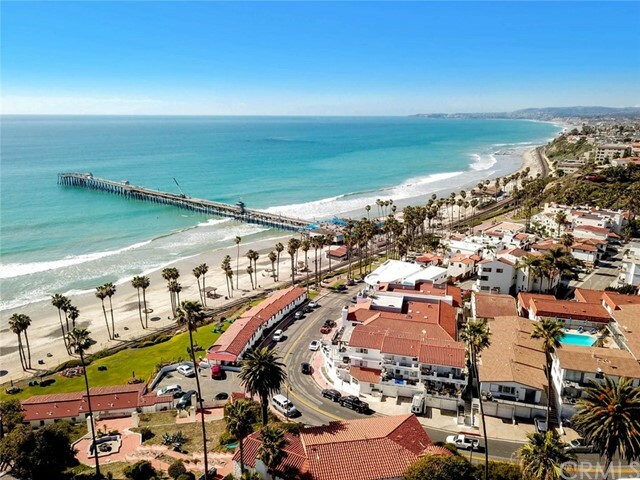 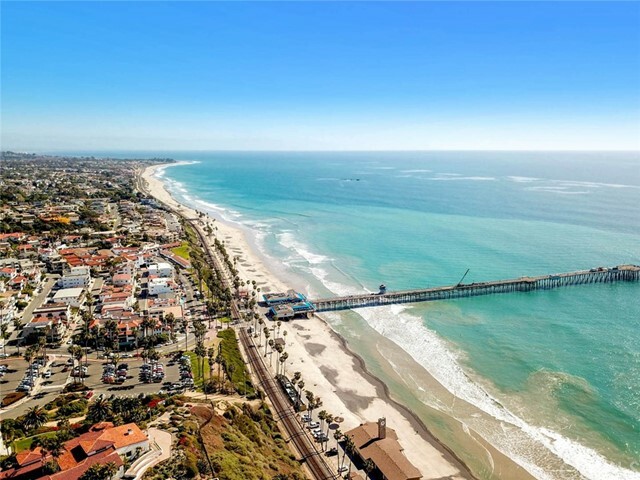 The popular Pier Bowl location is a vacation year around being only steps away from a World Class Surfing Beach, great Restaurants, Ocean Festivals & Beach Concerts, Farmer's Market, downtown Shops and the 'Best Climate' in the Country. 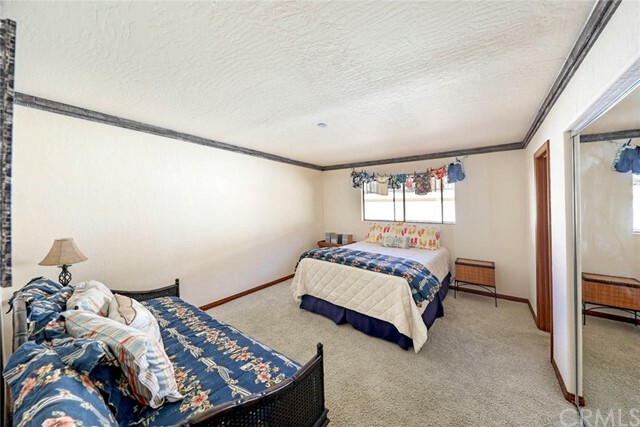 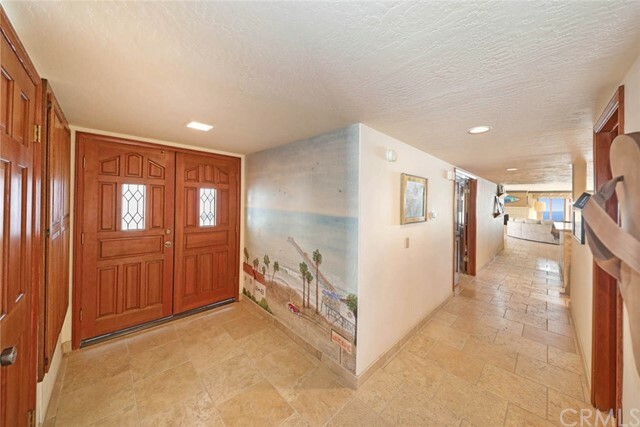 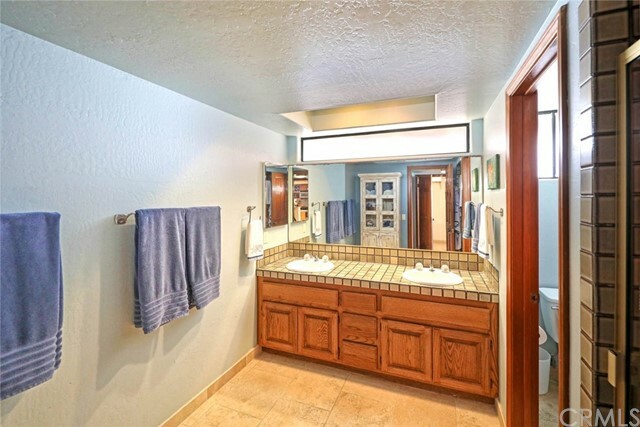 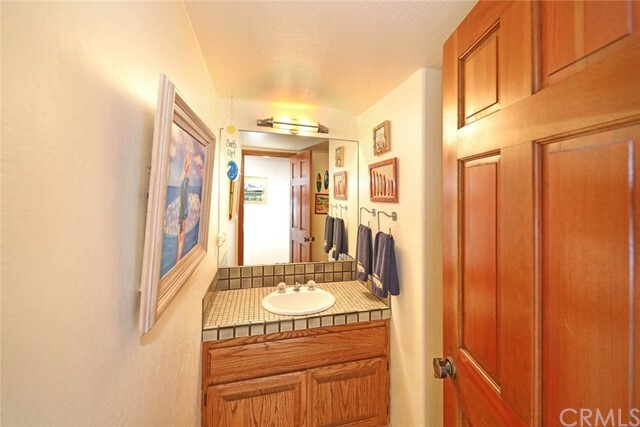 Property is Turnkey, sold Furnished with exception of the personal art work. 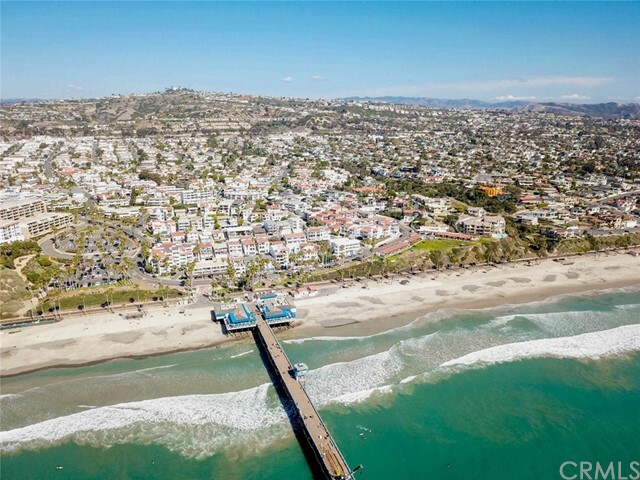 Experience Paradise!